Can a drugstore anti-aging serum perform as well as a high-end product? I decided to find out. I’m a product junkie who’s tried just about everything, but it’s all been in a higgledy-piggledy fashion; i.e., a little of this, a little of that, never really sticking with one thing long enough to assess whether or not the product actually worked. For years all that I cared about was the packaging, how it smelled, and how it initially acted on my skin. 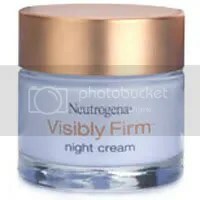 Finding a pretty product that didn’t aggravate my (admittedly mild) rosacea, or a sunscreen that didn’t leave me greasy, was enough to make me happy. Now that I’m in my mid forties it’s all about performance, and when it comes to the new high-performance beauty treatments the general consensus is that you can never be certain you’ll get what you pay for. Consequently I decided to do the “half face” test on everything anti-aging face product I purchased. Remergent was the first product that passed my test, but it was bought out by Estee Lauder and (predictably) discontinued, so after my last bottle ran out it was time to move on. To this day I’ve not found a regimen I’m happy with, but at with my 45th birthday coming up I decided to switch to the Big Guns. AG Active Serum was near the top on my list. This time it was necessary that I be extremely systematic: AG Active Serum is frighteningly expensive, on account, I suppose, of all those baby foreskins. Yeah, you read that right: Little baby peenie tips donated to medical laboratories. 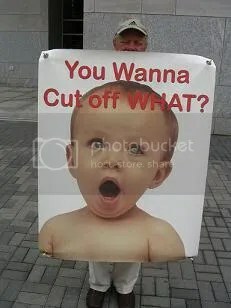 But don’t be thinking pureed peen (ew), it’s just how the stem cells are derived. The research is state-of-the art, based upon wound healing studies on burn victims. Scientists can “make” new skin for people now, a wonderful medical advance that is already saving lives. 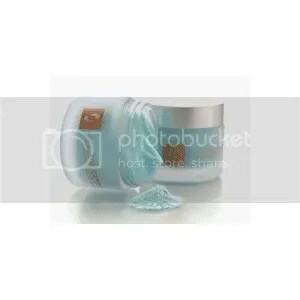 Human Fibroblast Conditioned Media, Water (Aqua), Glycerin, Polysorbate 20, Cellulose Gum, Tetrahexyldecyl Ascorbate, Tocopheryl Acetate, Lactic Acid, Citrus Aurantium Bergamia (Bergamot) Fruit Oil, Phenoxyethanol, 1,2 Hexanediol, Caprylyl Glycol. UPDATE: The company has changed its name to AQ Skin Solutions. It was just a matter of time before some enterprising doctors decided to put the key growth factors into an anti-aging serum. AG Active Serum encourages new skin growth with natural human growth factors: TGF-b(1-3) [Transforming growth factor beta], PDGF [Platelet derived from growth factor], GM-CSF [Granulocyte-macrophage colony-stimluating factor], and Interleukins (IL3, IL6-8). They are supposed to encourage skin to step up its own skin-building efforts to the levels it enjoyed while young. AG Active is a very expensive product ($199), but it’s getting rave reviews on the anti-aging forums, and is a best seller in my plastic surgeon’s online skincare store, where I bought it with my new customer discount. However, for those of you who want to try a less expensive product, Reviva’s TGF-Beta-1 cream has one of AG’s growth factor ingredients. Yes it does firm and yes I do use it: I’m on my third jar already! I’ve been using it on other body parts, the ones I plan to keep perky until I stop caring altogether. I decided to put AG Active Serum up against Aveeno’s new elasticity serum, Ageless Vitality(Day), ($30-$40), also getting good reviews. I chose it because it’s brand new and features a few state-of-the-art (for a drugstore brand) ingredients and qualities. 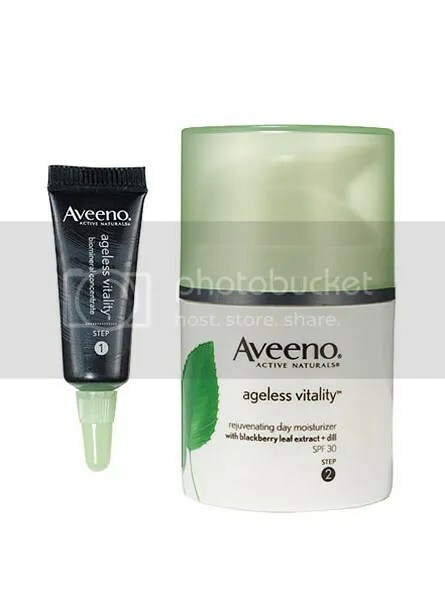 Aveeno’s serum is similar to other micro-current products like Neutrogena Clinical Facial Lifting Wrinkle Treatment (Night) and RoC Brilliance. The regimen requires two products: A serum with copper-plated zinc and an activating moisturizer (SPF 30). The resulting electrical “charge” is supposed to encourage collagen production. I can’t find an ingredient list online, but I recall that Aveeno’s product has zinc, dill extract and copper powder in it, ingredients known to help firm skin. I decided to apply the AG serum to the left side of my face and Aveeno on the right, for one month or when I ran out of product, whichever came first. So as not to confuse any reactions or results I temporarily stopped doing other anti-aging things. That meant no more Retin-A, Reviva products, glycolic peels, red lamps or even food supplements. The only things I put on my face during this 1-month experiment were drugstore sunscreens and various old moisturizing creams whose ingredients were long-expired. As any product junkie knows, rejected products take up plenty of prime storage space, and this experiment was my chance to get rid of one of them. It was difficult for me to quit my other regimens, but I was doing too many things anyway, some of which effects could cancel each other out or even negatively interfere with otherwise effective ingredients. For instance, never ever ever wear a product with copper at the same time that you’re wearing a product with vitamin C. I almost made that mistake, but I found Truth in Aging and Middle Ageless before the end of my experiment, and learned a lot. It’s very important to become a label-reader if you’re experimenting with different product lines. So here’s what happened: Since I applied the products to only half my face, both serums made it well past the end of the month. Both products improved the look of my skin almost immediately, but not in the ways I expected. My proto-wrinkles didn’t disappear or even diminish (a lip line softened a bit on the AG side), but my acne cleared up and my face took on a more even tone. I had no more scabs, scars or post-pimple hyperpigmentation! When I did get the (routine, inevitable) hormonal breakout it cleared up within days with no scarring. I consider that a miracle. That alone made both products worth the price. The AG serum did a much better – and faster – job at wound healing and evening skin tone than the Aveeno serum, but the Aveeno was only a week behind AG in performance, no big deal in the big scheme. When it came to firming and wrinkle-reducing, the Aveeno serum appeared to work better at first, but I believe this was due to the dimethicone and a temporary plumping effect from one of its key ingredients. I did notice subtle firming of the bottom half of my Aveeno side, but nothing worth writing about. The main benefit of the Aveeno serum is that it will just make your skin “look better” rather quickly, so if you’re in a hurry to look good for a reunion or a wedding consider the Aveeno product. Just be sure to use the moisturizer that comes with it, as it’s necessary to activate the serum. Using another moisturizer may give you a disappointing result. If the Aveeno serum is a sprinter, then the AG serum is a long-distance runner. At first the AG serum didn’t appear to do anything at all. However, I had done my homework and knew I had to stick with it for at least one month before assessing any results. I’m usually lazy with twice-a-day regimens but this time I was dedicated. For the price, I had to be! At the end of the month I was amazed: The skin on my jowls, including my shadowy marionette-lines-in-training, felt noticeably thicker, and much firmer than the Aveeno side. I was sold on the AG, almost enough to pay retail . . . but not quite. Fortunately my surgeon was having a 20%-off-all-products sale, so I jumped at another discount. My “bad” side now my “good” side, I’m applying the AG to the right side of my face until it catches up to the left, at which point I may consider an experiment with different copper peptide creams, the high-end Osmotics Blue Copper 5 Firming Elasticity Repair and the lower-end Neutrogena Visibly Firm. Copper has remarkable wound healing properties and is supposed to help your skin grow more collagen. In the mean time, stay tuned for my next beauty product smackdown: Replenix Eye Repair Cream vs. La Mer The Eye Concentrate, coming up! Great review and Thank you. 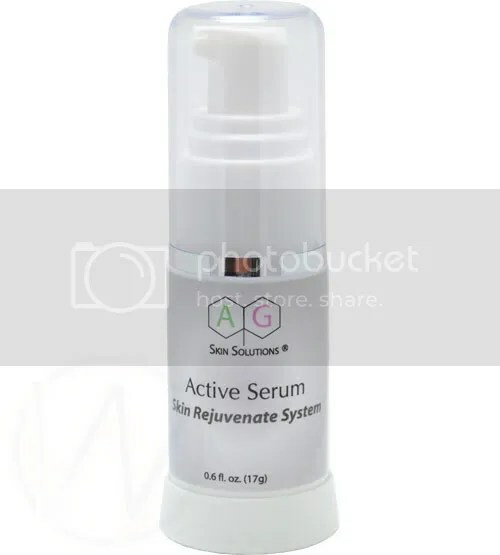 After reading your review I decided to purchase the new AQ Skin solutions active serum (2nd generation of AG serum). WOW!! I am still at amaze, I will never thought my skin will look that young and refined. You my new hero !! Hi Mel! I just bought some of the new version, woot! FWIW there’s something else out there called Reluma that works similarly and I may check it out. Might even do a side-by-side. I will not use Reluma if its the last product available and given to me for free. Thank God the FDA got involved and took that garbage off the market !! I personally did not try AQ products but the science checks out and patents to support it. Stay away from Reluma and any website that promotes it.